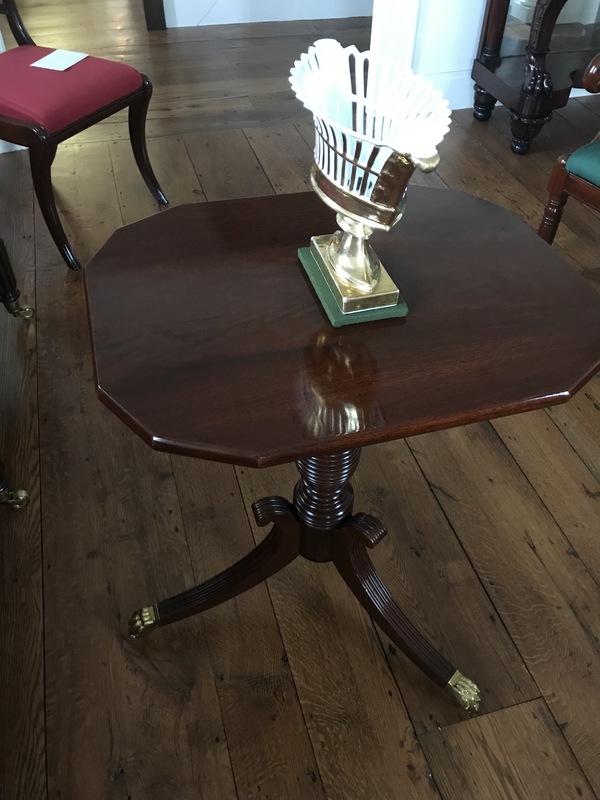 This attractive Classical candlestand features a finely turned standard on the pedestal with graduated concentric turned rings. 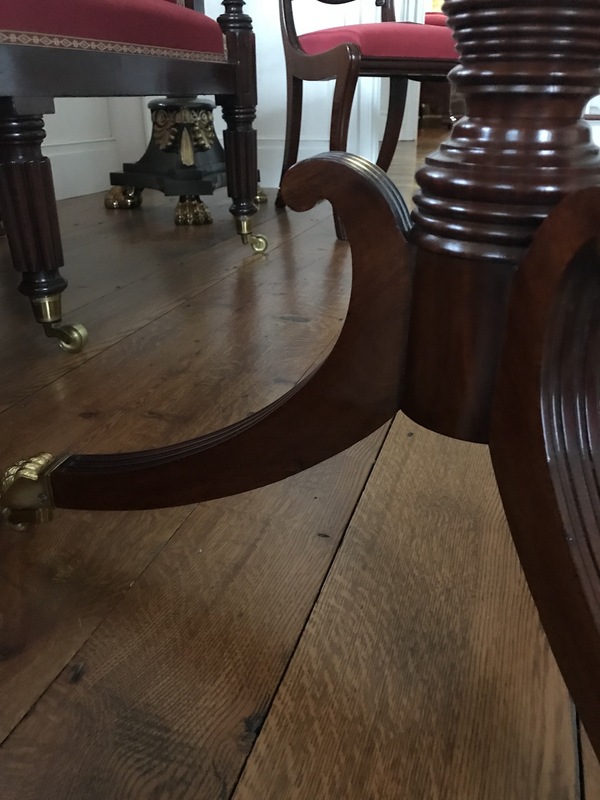 The molded sabre legs are finished with gilt lacquered toe caps and casters. 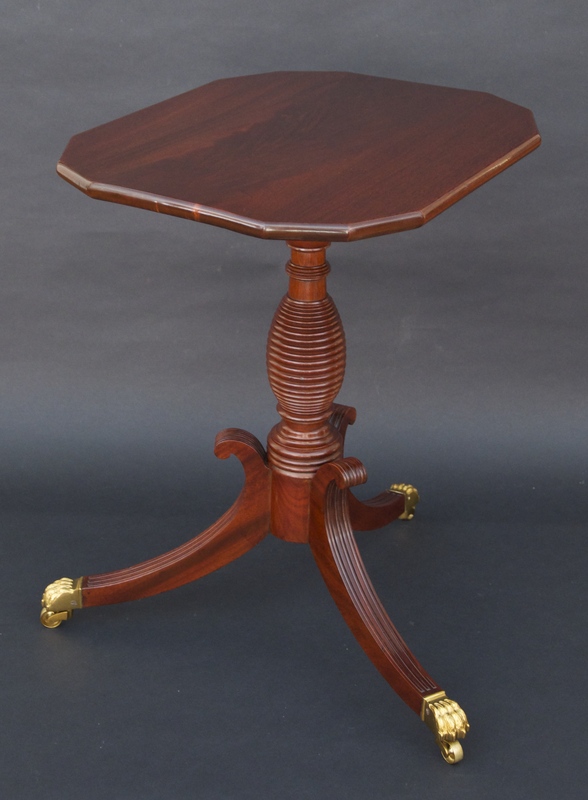 The beautiful top is comprised of a single board of figured mahogany. 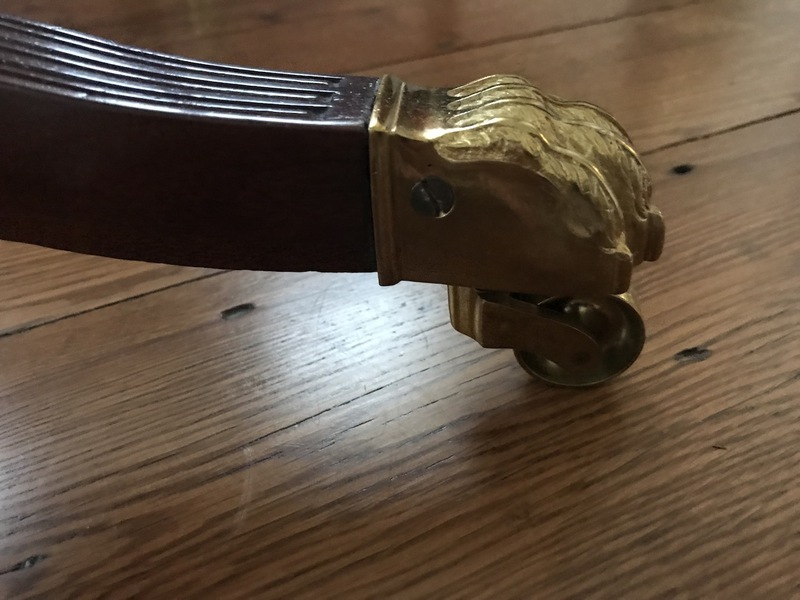 eight: 27½" Width: 18¾" Depth: 23"